Could ‘people protection’ help top up your security? While we may have a number of security measures in place, one of the most common concerns for people is when they are away from the home for any length of time, such as to go on holiday or away for business. Obviously there are precautions that you can take such as making sure the alarm is set, all doors and windows firmly secured and putting lights and TVs on timers, however some people are seeking a human dimension to ward against break ins; a house sitter! Having someone come and stay in your home while you’re away can give you extra peace of mind. It can also provide a great solution if you have pets. Perhaps you know someone who would be willing to do it; perhaps a young adult still living with parents who would appreciate some space, a student who wants to earn a bit of extra cash or even just a helpful family member. If you don’t know anyone personally there are even websites such as trustedhousesitters.com, housesitters.co.uk and animalangels.co.uk who can connect you to people who are happy to do it, and are externally verified. You need to know that your house sitter will be just as vigilant about home security as you are. That includes being able to set the alarm (including on a night if that’s what you would do), keeping doors locked even when in the house and keeping valuables out of sight. You should really be doing this anyway but if you’re entrusting someone else to keep your property safe, you need to at least make sure the measures you’re asking them to implement are fit for purpose. If the burglar alarm hasn’t had a service for more than a year or one of the locks is sticking a bit or you’ve had a few false activations on the alarm then get these things sorted before you go away. It’s not fair to make someone have to deal with avoidable issues on your behalf and having these things in working order is to your advantage anyway. Even if it’s a trusted friend or family member staying at your house, still exercise the same caution with valuables as you would if you were away. Keep money, jewellery and gadgets out of the way and ideally in a security safe. Remember that just because there is someone is staying in the house, doesn’t mean there is zero chance of a break in because it could potentially still happen in theory. Neighbours can often be one of your most effective security measures (especially the ‘inquisitive’ ones!) so make sure you let them know that someone other than you is staying there, especially if it’s someone that they are not familiar with. Ideally, give them a description of the person so that they know who is authorised to be hanging around your property and who isn’t. While house sitters are helping you out, you also need to be clear about your expectations of the time they spend in your house. For example, how comfortable are you with them having visitors, which visitors can they have and should anyone else be allowed to stay there overnight etc? You might want to set some more mundane ground rules such as do you expect them to clean up after themselves, how many walks the dogs might require or whether pets should be allowed upstairs etc. One thing that could alert a would-be intruder that it’s someone other than yourself at home might be variations in your regular routines such as not remembering to put the bins out or not opening the curtains ’til mid morning etc. As far as possible, they should make things as normal as possible so let them know about bin days or anyone that may be calling such as window cleaners, bin cleaners etc. If anyone needs paying for services such as these, make sure you leave the money and let them know how much is owed to each person. As well as creating a sense of normality to legitimate callers, it prevents less scrupulous people scamming your unsuspecting house sitter. After you return and your house sitter leaves, have a check list of things you need to do to maintain the integrity of your security. This should include things like making sure any keys that you have given out are returned, making sure all window keys are present and having a quick check round to make sure everything is present and correct. You could even consider changing the alarm code if you want to be very thorough. 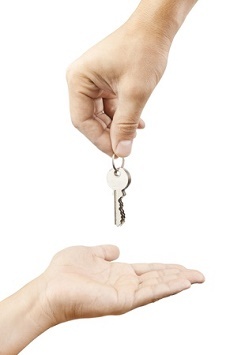 Obviously we’re not suggesting that there’s any reason not to trust your house sitter but these precautions help to remove doubt plus anyone could lose an extra key that they didn’t realise they still had or a note with an alarm code and that could be all it takes to weaken your security. What if a house sitter is not an option? If you don’t feel comfortable with the idea of a house sitter or you just don’t know anyone who could do it there are a couple of half measures that offer some similar benefits, such as asking a neighbour to park on your drive or just keep an eye out. You could ask a friend to check in occasionally or even just get someone to put your bins out or go and open your curtains. If you have any other security concerns about going away or just home security in general you can call us on 0345 833 5543, message us or call into our security shop in Wakefield. previous Could stones be marking property for burglary?